HONG KONG, Oct 29, 2018 - (ACN Newswire) - Coinsuper, the Hong Kong-based top cryptocurrency exchange, recently partnered with the world's 8th largest mining pool, dpool, and the professional mining machine manufacturer, Bitfily, to jointly launch HRT (Hash Rate Token), the first-in-class to represent computing power with the aim to create an open and self-governed computing power ecosystem. So far, the project has won the strategic investments from a number of world-class crypto funds, and a mining related company. HRT is the world's trailblazer as a token underpinned by real computing power. The world's 8th largest mining pool dpool will fully reflect 9 million T of its own computing power in HRT tokens. HRT holding is translatable into control of computing power. Every 24 hours, the platform will distribute mining rewards to HRT holders in BTC. For example, a user holding 1% of total HRT supply controls 90,000 T computing power and is entitled to 90,000 T worth of mining reward on a daily basis. In traditional models, mining requires high barriers to entry across investment size, low-cost power resources and professional maintenance of mines and mining machines, which has made mining a privilege of the few. The existing mining pool tokens in the market are only pegged to computing power management fees without entitling their holders to real computing power. In contrast, dpool will provide professional mining pool management and computing power maintenance services on an ongoing basis to ensure convenient, easy and long-term access to mining rewards for HRT holders. In addition to mining reward entitlements, users who integrate their computing power to the platform will be rewarded with extra computing power pro rata to their contributions, settled in HRT. 1st Stage: Within 30 days after HRT goes live, miners who integrate their computing power to dpool are granted an amount of HRT-denominated computing power equivalent to 110% mining commission, from an estimated provision of 10 million HRT. 2nd Stage: Within 3 months after the end of 1st stage, miners are granted an amount of HRT-denominated computing power equivalent to 80% mining commission, from an estimated provision of 20 million HRT. 3rd Stage: Within 10 years after the end of 2nd stage, miners are granted an amount of HRT-denominated computing power equivalent to 60% computing power, from an estimated provision of 100 million HRT. At the same time, the platform will reserve a portion of its income from computing power management services for quarterly buybacks and burning of HRT to maintain a certain level of deflation, that is, the sustained increase of computing power per unit HRT. The platform will take snapshots of CEN holding accounts at particular times for multiple HRT airdrops, with an estimated provision of 20 million HRT to be given away. CEN, as the platform token of the Hong Kong leading exchange Coinsuper, is aimed to power a robust ecosystem for the crypto industry. The issuance of HRT is another significant step towards the future of industrial integration and synergy effects by connecting the critical industry links of miners, mining pools and mining machines, which will finally benefit the mass CEN supporters. The open and interest-sharing mechanism built upon HRT will attract a large number of users and industry players in concerted efforts to craft a healthy and sound computing power ecosystem of high efficiency, openness, transparency and fairness. 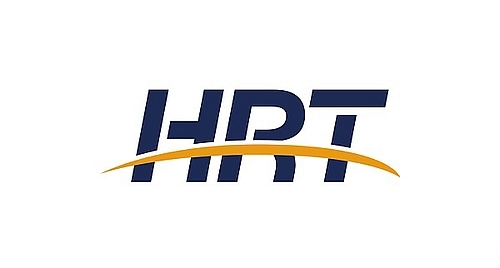 Strategically, HRT will continue to expand its computing power to enhance the competitiveness of the platform; on the other hand, it will put in place low-cost mining infrastructures around the globe to improve the operating efficiency of the mining pool. The open-up of the platform has been supported by a host of world-class mining pools and mining machines. Thanks to all participants, the HRT computing power ecosystem will undertake steady expansion and roll out the mining business on POS/DPOS consensus under the support of Coinsuper, in which users can lock up according tokens through Coinsuper terminals to participate in mining or polls and get the corresponding mining and voting rewards; meanwhile, the strategic partnerships with renowned mining pools and mining machines will drive the HRT ecosystem to get better involved in the industrial chain and continuously elevate its position and voice in the industry. Currently, mining pools are reaping increasing economies of scale. dpool, a participant of the HRT computing power ecosystem, is itself among the top 10 mining pools by global ranking with strong competitiveness. The issuance of HRT departs from the core idea of community-oriented operation that distinguishes the blockchain technology and will head towards a long term of healthy growth. HRT is the world's first computing power ecosystem jointly developed by exchanges, mining pools and mining machines. Representative of this lineup, Coinsuper is a Hong Kong leading cryptocurrency exchange with over 1 million active users and a solid presence in the top 20 of global trading volume ranking, among the few Asian competitors supporting USD channels. Acting as the lead initiator of HRT ecosystem, Coinsuper will build a connected account system with the HRT platform for the traders and miners to smoothly transit in between. Going forward, the exchange will also provide platform and liquidity resources for HRT circulation to support the POS/ DPOS consensus mining business of HRT ecosystem in full gear. dpool, the world's top 8th with extensive experience in mining pool operation, will act as the provider and professional operator of computing power in the HRT ecosystem, responsible for computing power maintenance and stable operation for the mining pool to enhance its operating efficiency at lower costs sustainably. Bitfily is a professional mining machine manufacturer focused on producing high-speed low-power computing chips, high-power high-density computing servers and large-scale parallel computing softwares, among others. As the most important resource provider in the mining business, Bitfily is here to ensure the stable and healthy growth of HRT computing power ecosystem. The 'Exchange + Mining Pool + Mining Machine Manufacturer' cooperation model will maximum harness the advantages of industrial chain to deliver beneficial aggregation effects. Serving as the interest certificate for the computing power ecosystem, HRT will be issued in a total supply of 400 million, of which 45% will be used as computing power rewards, 5% as airdrop rewards for CEN holders, 15% as team incentive and the rest reserved to fund long-term operation and development of the computing power ecosystem.